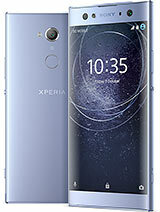 for anybody that is interested for xperia x8 cellphone i am saying that is one of the best choices in the market for its cost.i bought two, one for me and one for my wife one month ago(greece).it is really fast and easy smartphone.no jealous at all for an i phone.lucky people to have x8.bravo to sony ericsson!!!! only future 2.2 update will make it complete.. I'm confusing now.. I'm going to buy either one of it.. Anyone can recommend me? Which better? dido, 22 Dec 2010I prefer LG optimus over xperia x8...stupid! u cant compare x8 wif optimus..there are diffrent type of phone la..
i am going to buy this phone now!!! im here in the philippines...filipino users, please let me know your thoughts about this phone...thank you and merry christmas!! !